Price is for individual replacement sensors. Tire condition is critical for the safety of riders and drivers. If there is a problem, receiving a warning before it’s too late could be a life saver. 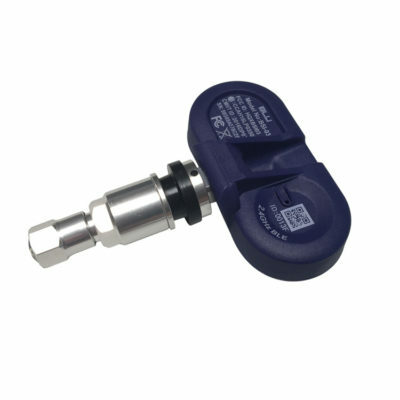 The BLU TPMS Replacement Sensor-Internal monitors both the pressure and temperature of vehicle tires. These high quality O.E.M. grade low energy Bluetooth (BTLE) sensors monitor important tire parameters; Indeed, communicating this information to the free iOS or Android mobile app in near real-time. Finally, Push Notifications activate when tire pressure or temperature deviate from their pre-defined settings; no dedicated display required. Use with our BLU TPMS Internal Bluetooth Tire Pressure Monitoring System. Keep one in your glove-box as a stand-by replacement, should a sensor become lost or damaged. Each internal sensor measures approximately 3” x 2.4” x 0.78”. Designed to fit industry standard 0.453″ diameter valve stem hole. Internal sensors are sealed units, batteries are NOT user replaceable.